This time while we were within the Cour Napoleon we took these high definition photos showing the statue of Malherbe, which is located on the Aile Turgot wing of the Musee du Louvre in the 1st Arrondissement of Paris. So in this first HD photo you can see the statue of Francois de Malherbe, which is located third statue from the left hand side on the first level balustrade of the Aile Turgot facade on the former Palais du Louvre, and this was put in place in 1857. 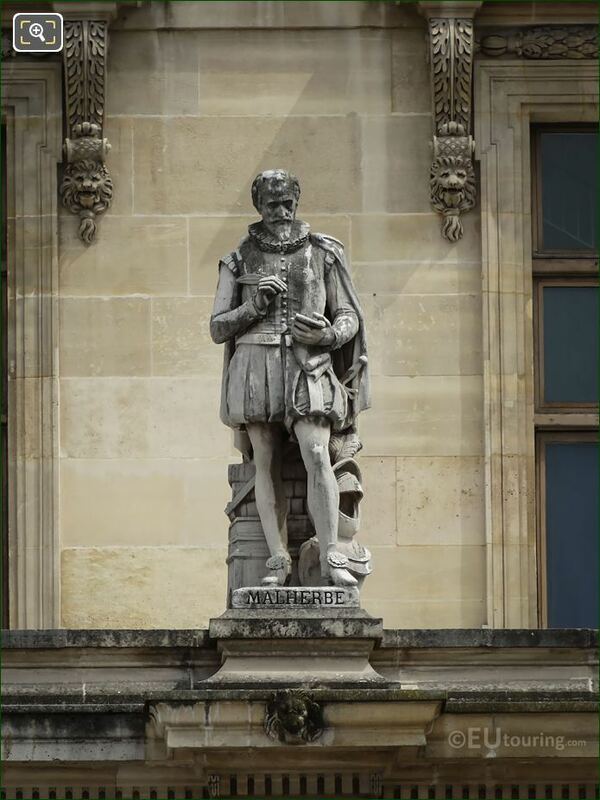 Now in this next photograph you can see the detail that went into this, which was produced by Jean-Jules Allasseur who was born in 1818, and studying at the Ecole des Beaux-Arts in Paris to become a French sculptor, he received many official commissions for portrait sculptures, memorial allegories and decorative architectural sculptures. 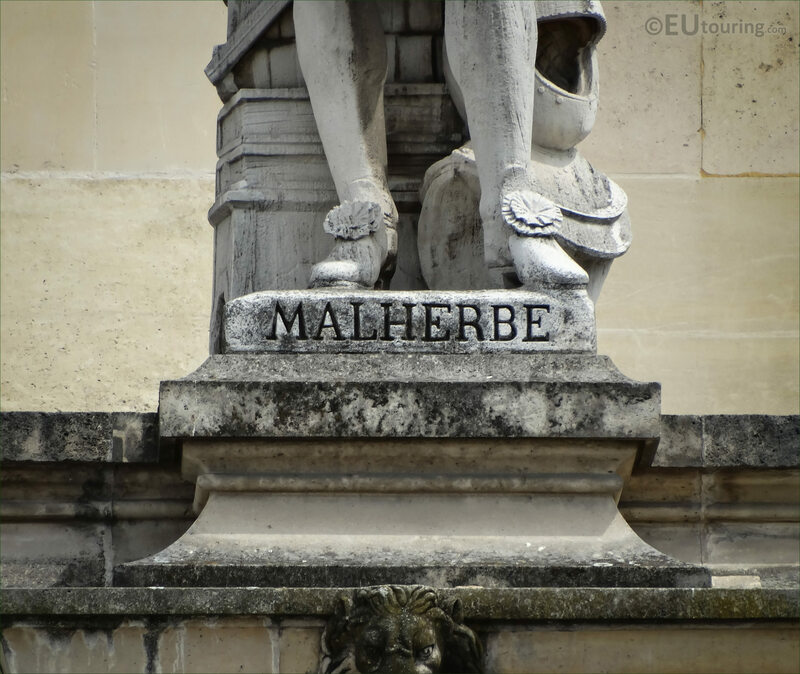 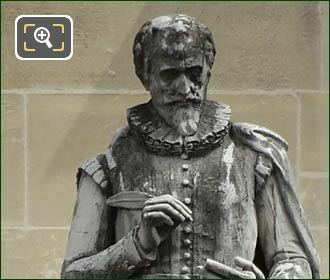 And in this last high definition photo, you can see the name shown on the base of the statue, which is dedicated to Francois de Malherbe who was born in 1555 in Normandy, and became a French poet. 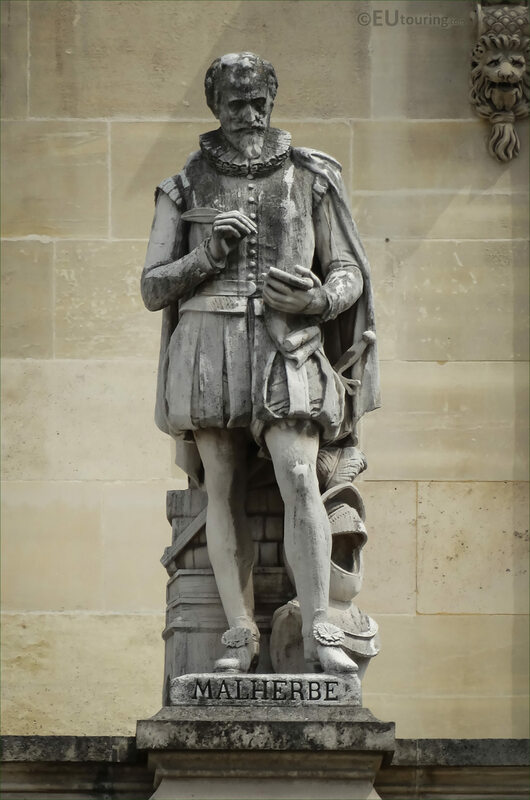 Much of his work was not over praised initially, yet in 1600 he produced an ode as a welcome for Marie de Medici and King Louis XIII, which is one of his best and most remembered works, and working from the royal court, he passed away in Paris in 1628.